Boil together - water, agar-agar powder and sugar. Add UHT chocolate milk, salt and chocolate emulco. Stir till a soft boil. 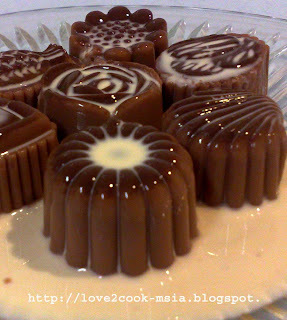 Pour into ur favourite moulds and let them cool down before storing into fridge. Once the pudding is cool enough, add evaporated milk on...and that's it...ready to eat! 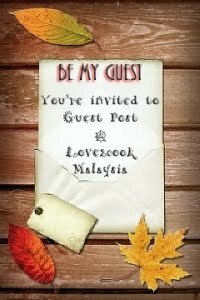 k.dayang...misti cuba...hope ur gal likes it...I've posted b4 at MyR too..